So if you’re wondering where I’ve been, the answer is quite simple: everywhere and nowhere, all at once. Truth is, with family life being as hectic as it is, I find it hard to focus on too much at a time. (Example: my son has said “Mommy, look” about six times since I wrote that last sentence- train of thought, gone!). But since May my main focus has been on my health and I’ll be the first to admit that I’ve been surprised by the amount of attention and energy it requires to keep myself dedicated and on track. Let me explain. I took the initiative to join Weight Watchers and do something about my unhappiness with my physical fitness. Partly because I saw THAT picture, the one every person claims to see and just KNOW they didn’t want to look like that ever again, and partly because it was becoming next to impossible to keep up with my very active toddler. I never considered myself ginormous or anything, but eating poorly, sleeping even more poorly, and not taking care of myself was starting to take its toll. Weight Watchers led me to confidence and a feel of having more control over my life. This confidence led to results. Results let to Zumba! And Zumba has led to more results, along with an unquenchable excitement over something I never thought I’d be excited about: exercising. Eating healthy also led to something else I wasn’t expecting: couponing. Before you roll your eyes, I am not a hoarder ala TLC’s Extreme Couponing. The stuff I buy can actually be put together into well rounded family meals. But so far this month, I managed to save us about $150 on our overall grocery bill, and to get enough stuff to last us into next month. Which as you can imagine takes a surprising amount of time and energy. There is a system in place, labeled folders, dated envelopes, lots of clipping and sorting of coupons, and going to the store at least once a week to take advantage of sales. So let’s see if I can recap: healthy eating which means meal planning and food diary keeping, exercising at least 3x a week, couponing to afford healthy eating, day job, parenting, housework, and oh yes… writing. As you can see, writing has been pushed to the very end of that list. 😦 Boo! Not too thrilled about that. The past few months have been a whirlwind I was really not expecting. So now, I feel like I’m starting from scratch. I have a TBR list that’s meant to light that fire under my bum and get my hands back on the keys. My creative well is dry! But I’m ready. More than ready. In fact, I miss the worlds I’ve left on paper. I miss the characters and their quirks. Weird how they become so much a part of our consciousness and lives. I’m going to have to wake up early if I want to exercise or stay up late if I want to write but these are the things writers do to fulfill their dreams and quell the voices inside. Once I get a schedule in place, I’ll wonder why I didn’t get organized sooner. In the meantime, I’m glad that one thing hasn’t suffered. 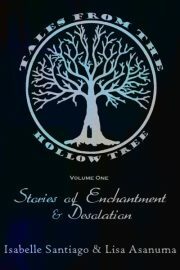 TALES FROM THE HOLLOW TREE has been my beacon of hope all this time. The proof that I am not a lost cause, that I in fact have something to offer the world and myself. And that when given a deadline, I can force myself to work. And you know what? I’ve really enjoyed having that anchor during the madness that has been my life. Do you know what today is? Friday! Get thyself over there and read my offering for today: A Perfect Pause.